Working to make your stay as comfortable as possible, the staff at the Hanging Lake Inn are at your service. Enjoy clean, family-friendly rooms at an affordable price with a spectacular view. 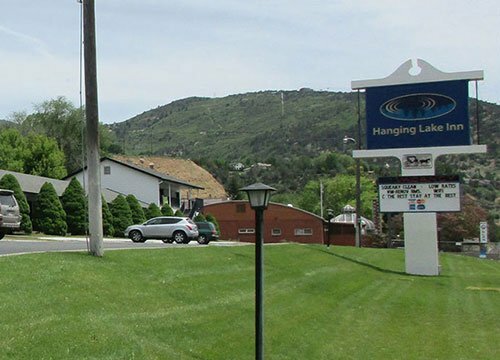 Located in West Glenwood on Highway 6 and 24 you won’t be far from any of the fun and exciting activities Glenwood Springs has to offer. Nearby attractions like the Glenwood Hot Springs and the Glenwood Caverns Adventure Park are just a couple of the activities that will help you and your family make great memories together. From at-door parking to free WiFi as well as replacing any forgotten toiletries for your trip we will make your stay with us as enjoyable as possible. Check out our specials!